Dear JotForm Support, I have a form I only make available to pre-qualified users. I can't create the form in Google Forms or Sites and password protect it from only some public users. That is why I am here. Do you offer such a feature? If yes, please tell me how to install the feature. If not, please refer me to another service. Thank you. There are probably many ways to do this with JotForm. You can have a form that loads with all of its fields, except the password field, hidden and only when the the correct password is entered, will the other fields be revealed. This is accomplished with the use of conditional logic. Depending on how you want to go about this, pre-qualified people can either be manually emailed the URL and password of a second form or you can have a pre-qualification form that only emails an autoresponse containing the URL and password if a certain condition or conditions are met. The forms in this simple example have been setup to email their submissions to you but as they are my forms, all of their submissions will show up in the submissions page for each form in my account. 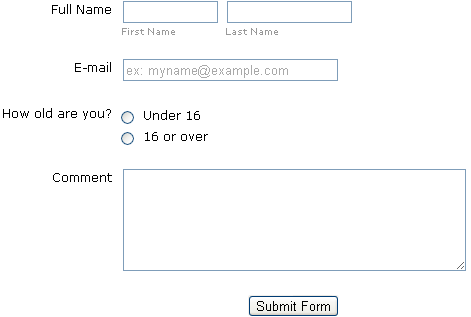 These forms are just to illustrate how a pre-qualification system with a required password could be configured. The best way to find out how these forms were configured is to clone them to your own account.